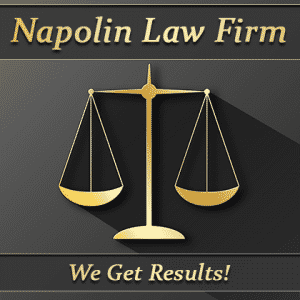 Home » Practice Areas » Car Accidents » Car Accident Lawyer » Injured in an Auto Accident? 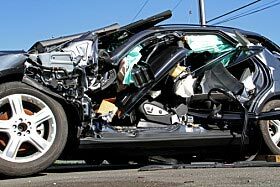 Injured In An Motor Vehicle Accident In California? Driver's license number of the other driver. Date of birth of the other driver. License plate of the other driver's car. If possible, verify all this information by requesting that the other driver produce their driver's license and insurance card. If you have a phone that can take pictures, take a snapshot of the front side of all documents produced by the other driver. It is possible the other driver could lie to you and provide false information. Having pictures or copying directly from documentation will lower the chance that the other driver could take off without giving you enough information to identify them. It is common that following an accident that you might take down information incorrectly, which could lead to you having to do stressful information searches to identify the person who you were involved in an accident with or to identify the owner of the automobile. Remember to always call 911 to have an officer come out to the scene to facilitate the exchange of information. Many police departments write police reports, but are not required to write a report. Ask the officer if the officer intends to write a report. If he does, make sure you get the accident report number. You will be able to get that report a few weeks after the accident. If the officer informs you that no report will be produced and you believe you are not at fault, it is always a good idea to attempt to get the other driver to admit fault in the officer's presence. If the officer is not writing a report, it is extremely critical that you collect the above 5 pieces of information and keep it in a safe place. It is always safe to call a Personal Injury Law Attorney before you talk to your insurance company, especially the insurance company of the other driver. Whatever you do, do not give anyone, whether it be your insurance or the other driver's insurance, your recorded statement. Nothing good can come of it. 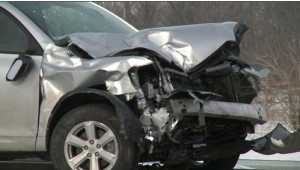 It is best to call an Auto Accident Attorney and have them represent you. This way there is a barrier between you and the insurance company. Remember, the insurance company makes money by paying as little on each claim as possible. They do not want to pay you a dime and will use your words against you to not pay. In need of a Pomona, Ontario, Rialto, San Bernardino, Riverside, Upland, Rancho Cucamonga, Fontana, Claremont, La Verne, Chino, Corona, Glendora, Covina, Azusa, Duarte, Pasadena, West Covina, Colton, San Dimas, Monrovia, Chino Hills, Montclair, Redlands California Personal Injury Auto Accident Lawyer. If you, a family member or friend have been involved in a car accident, motorcycle, truck accident. Please contact our law offices. Call Now: (909) 325-6032 - We are available!